Health spending accounts are set up by employers, and funds are specifically taken out of an employee’s pre-tax paycheck to be freely used by you for qualifying health and medical expenses each year. The federal government generally requires this money must be spent before the end of the year. If you have a Flexible Spending Account with your employer you will have up to $2500 of your own money in your account which can be used for health care expenses before the end of the calendar year. 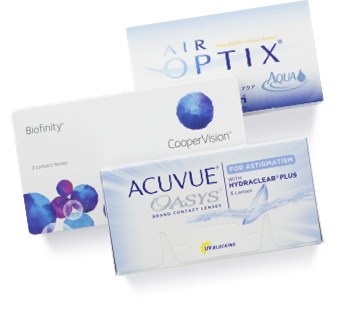 Flexible Spending Accounts are a great way to stock up on contact lenses and supplies, including coloured and special effects lenses as long as you have a current prescription. Don’t let your flexible spending account dollars go to waste before the end of the year. To help maintain healthy vision for you and your family please schedule an appointment today! 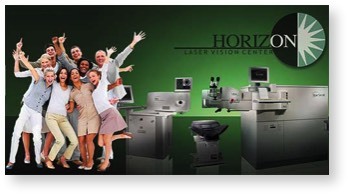 Now is the perfect time to schedule an ILASIK, PRK, or any other vision-corrective surgery. Can I save tax money if I elect to have laser or implant vision correction? If your medical expenses reach 7.5% of your income in any given year, the price of laser or implant vision correction can be deducted for tax purposes. In May 2008, Revenue Canada confirmed that laser vision correction indeed qualified as a medical expense for this purpose. Most people, however, end up not reaching the 7.5% threshold. 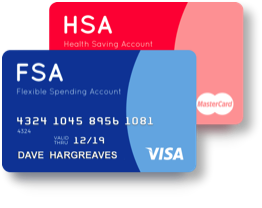 Therefore, they turn to another popular program, which are HSAs. What is a Flex Spending Account (FSA)? A Health Spending Account (FSA), is an employer-sponsored benefit that allows you to pay for eligible medical expenses on a pre-tax basis. If you expect to incur medical expenses that won't be reimbursed by your regular health insurance plan, you can take advantage of your employer's HSA, if one is offered. FSAs are also called flex plans, reimbursement accounts, Medical Spending Accounts, or a Cafeteria Plan. What is the benefit of using Health Spending Accounts? HSAs save you money by reducing your income taxes. The contributions you make to a Health Spending Account are deducted from your pay before your federal, provincial taxes are calculated and the contributions are never reported to Revenue Canada. The benefit is that you decrease your taxable income and increase your spendable income, which can save hundreds or even thousands of dollars a year. How do I know if I have access to a Health Spending Account? First, check with your human resources administrator at your workplace. Then find out if there is a maximum contribution amount and ask when you are eligible to enroll. At the beginning of the plan year (which usually starts January 1st), your employer asks you how much money you want to contribute for the year (there are limits) into your Flexible Spending Account. You have only one opportunity a year to enroll, unless you have a qualified"family status change," such as marriage, birth, divorce or loss of a spouse's insurance coverage. The amount you designate for the year is taken out of your paycheck in equal installments each pay period and placed in a special account by your employer. As you incur medical expenses that are not fully covered by your insurance, you submit a copy of the Explanation of Benefits or the provider's invoice and proof of payment to the plan administrator, who will then issue you a reimbursement check. How can I be sure the money I put aside towards vision correction in my Health Spending Account (HSA) will be used? Before committing any money to a HSA for vision correction, we recommend you come in to have a FREE consultation to ensure you are a candidate. Once that has been determined, you can confidently allocate pre-tax dollars to your HSA. How do I find out if I'm eligible for laser or implant vision correction? To see if you are a candidate for laser or implant vision correction, please contact The Spectrum Eye Centre at 1-306-586-EYES (3937) or 306-761-EYES (3937) to schedule a consultation.